We’re having another hot and relatively humid week in Northern Michigan today, and I know other parts of the country are currently experiencing something like a steam bath. Humidity levels have reached 100% on some days, and dew points are very high. That type of weather is generally pretty uncomfortable for humans, and it doesn’t do your sublimation supplies, like paper, all that much good either. Since the weather has provided me with a ready made subject, I thought today would be a good day to discuss humidity and sublimation paper. First of all, let’s discuss what humidity does to sublimation paper. Your sublimation paper can retain an enormous amount of moisture, so exposing it to humid air is like setting a sponge in a pool of water. 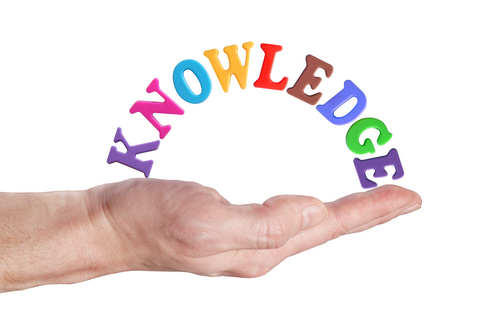 Excess moisture in your paper is not a good thing and can lead to problems like color shifting (colors lose accuracy), bleeding of the image, and uneven transfer of solid filled areas. 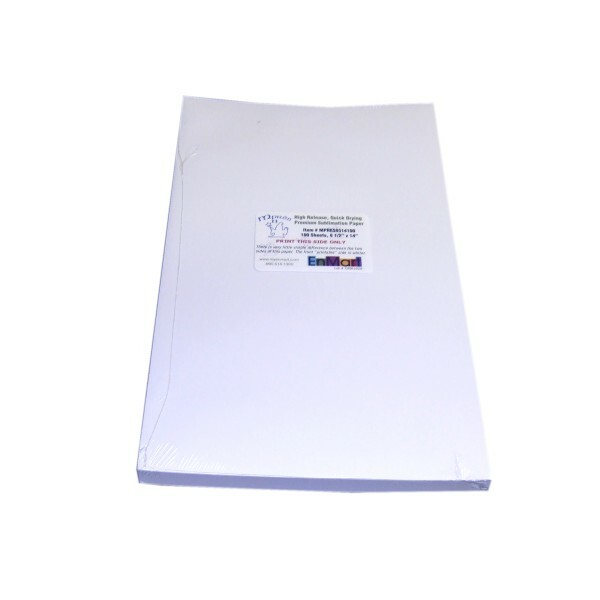 If you can, store your sublimation paper in a temperature and humidity controlled environment. If that isn’t possible, try to avoid humidity related problems by keeping your sublimation paper sealed in a plastic bag. If you paper is exposed to humid air and does soak up some excess moisture, you have a couple of options. One is to set the paper on your press for a few seconds. Do not press it. Just expose it to the warmth. The heat radiating from the press should help evaporate most of the moisture. If you’ve already printed a transfer you can try to save the transfer by heating it in your heat press. 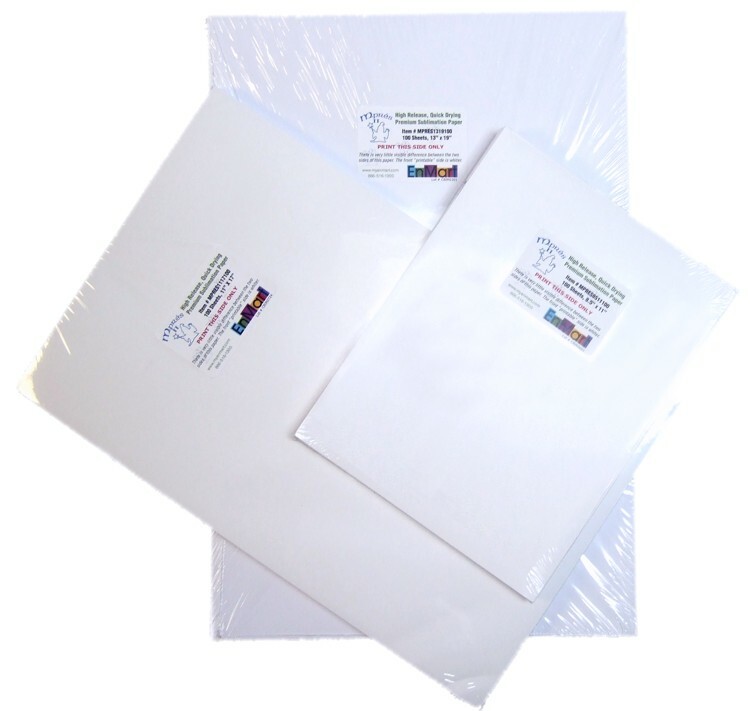 To eliminate the excess moisture, place the printed transfer 2″ to 3″ below the heat platen for 30 – 40 seconds. When you do this, the result may be that the colors in the transfer appear washed out or faded. This is normal and the anticipated result of color adjustment for the transfer process. 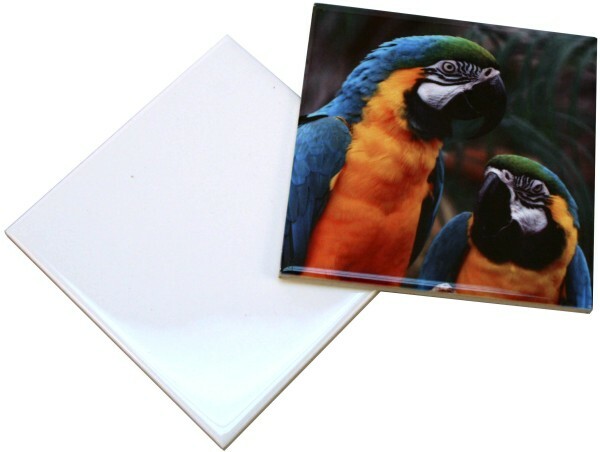 As a general rule, the optimum environment for sublimation printing is one that has low humidity and is reasonably cool. 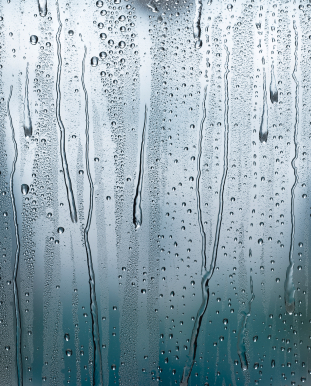 You may have to do some experimenting to find the correct humidity and temperature levels for your particular climate.